I know my blog has been awfully quiet the last couple of weeks and while we are still in the process of moving, last night I whipped up these New Year Resolutions Printables to share with you before my computer was packed. This year I wanted something I could put up somewhere in our new house that would remind me of the goals I want to be working on constantly. 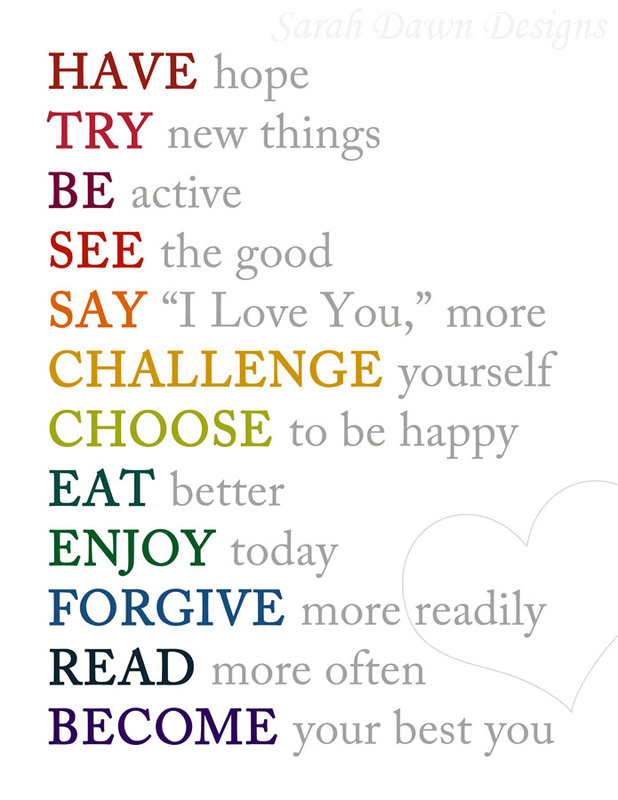 As you can see the first of my New Year Resolutions printable is a list that is somewhat general. I am a goal oriented person and while I often need a very specific goal to be working towards I also want to work on being happy with the small achievements. I can't really put a number to the times I say " I love you," I just know I need to say it more than I do now. For some reasons those words just don't come out as easily and often as they should. Same goes with my goal to "enjoy today." You can't put a number on that but its something I want to be better at. The grass be green on the other side but it doesn't mean that its not green in the here and now as well. Sometimes it just needs a little water. You get the idea. 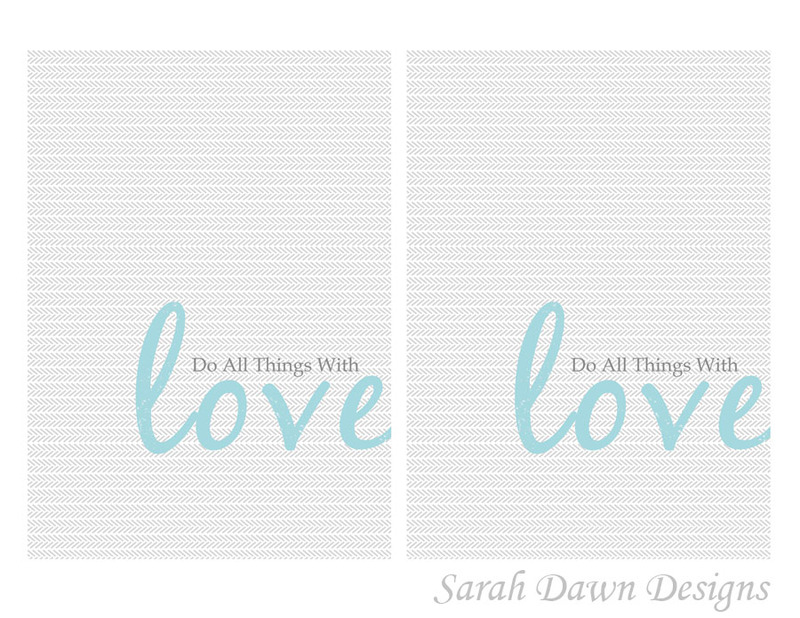 I thought that perhaps I would share this printable with all of you in case we are working on similar goals. The idea is that you would print these goals on an 8 1/2 x 11 size paper and then trim it to fit into an 8 x 10 frame. You can find this free download on my website here. Next I have a New Year Resolutions quote. Often as I'm laying in bed each night I think, "Why did I say that?" "I should have called this person." "Why am I so judgmental?" 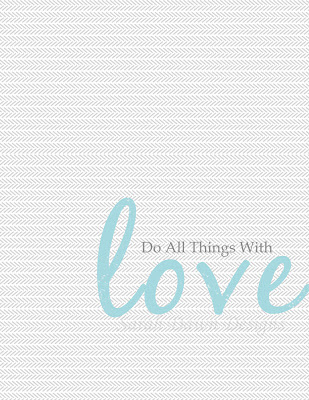 While I have my general goals up above, my 2013 "theme" or overall goal is going to be "Do all things with love." 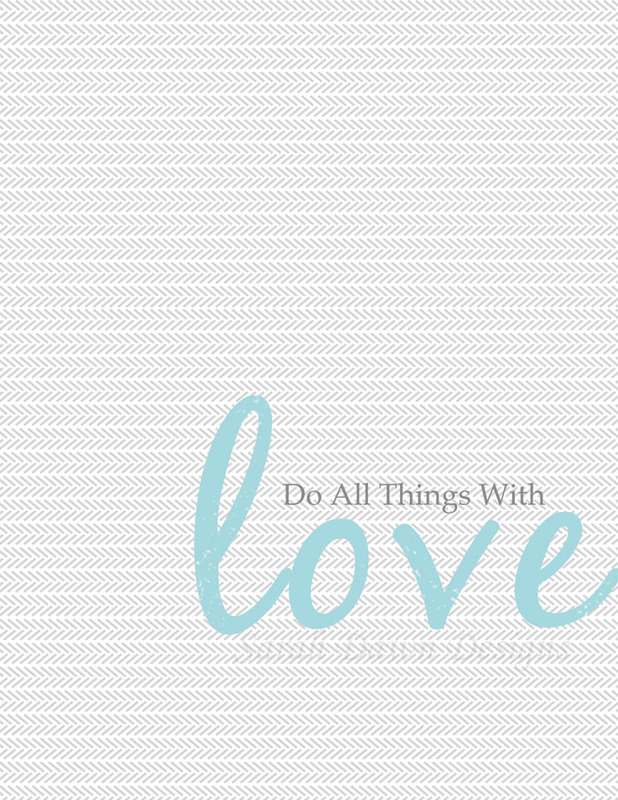 When it comes down to it, I want to learn how to have a greater capacity to love those around me. This printable again was meant to be printed on an 8 1/2 x 11 size paper and trimmed to fit an 8 x 10 frame and can also be found on my website. It gets better though. If you are like me you don't always want a printable in an 8 x 10 frame, so I have also made this quote available to fit into a 5 x 7 frame. There are two 5 x 7 quotes on an 8 1/2 x 11 size paper. 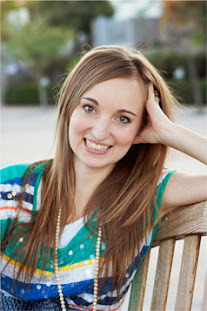 Find this and all of my free printables on my website. Hopefully we will get completely settled and moved in the next couple of weeks and I can resume a more regular blogging schedule. 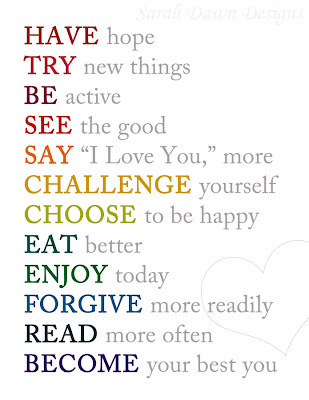 In the meantime, what are some of your 2013 New Year Resolutions? Do you have a family theme you work on each year? Very cute! Pinned it and shared it to Facebook! Good Luck getting settled in to your new home. :) Have a Happy New Year! What a perfect reminder! I am printing it out now. Thanks for sharing! I love the resolution print! Both are awesome. This is a great idea. It might help people with their new year resolutions. Fantastic post. Thanks for sharing this with us. Peace.